It had been a long day but once we got home from the wedding and changed our clothes we were still hungry so we walked a few blocks to Little Italy to grab a slice. The only people in the joint were the guys working behind the counter. It was nearly midnight and the heat from the oven cut through the cool air from the outside. It smelled like tomatoes, garlic and charred dough, an aroma New Yorkers immediately recognize as something unalterably good. My girlfriend told me to order for myself as she went to the rest room, so I did, then sat at a table away from the front door. I looked up at the TV hanging from the corner of the room and there was Rickey Henderson, the guy I’d patterned my swing after in high school. He was a Blue Jay now, playing against the Phillies in the 1993 World Series. It had been four years since he had been on the Yankees, but it felt like longer. It took a moment to figure out the situation but when I did — bottom of the ninth, Jays down by a run in the sixth game of the Series — I was alert. At the beginning of the year, many feared the Yankees were hitting “too many home runs”. According to the most often expressed concern, the team’s inability to play small ball would eventually prove costly in October (a myth disproven in an earlier CBN post). Well, those worried by the Yankees’ reliance on the long ball can rest easy now because the team’s offense has evolved into the most balanced in the American League. Note: Yellow markers indicate years in which the Yankees led in both categories. Over the years, the Yankees have been synonymous with power. In 37 of 110 seasons (not including the present), the Bronx Bombers have finished first in home runs, so it should come as no surprise that the 2011 team currently leads the league with 160. However, some might be shocked to know the Yankees’ 120 stolen bases are tied with the Kansas City Royals for the top spot (the team’s success rate of 76% is also tops in the A.L.). The last time the Yankees led the league in steals was 1985, when Rickey Henderson set a then single season franchise record with 80 (Henderson would break his own record in 1986 and 1988). However, before that season, no Yankees’ ball club had finished first in steals since 1938, when the team set the pace with a relatively low accumulation of 91. In total, eight teams in franchise history have led the league in steals, which illustrates how much more the Yankees have relied on power. Although the 2011 Yankees are unlikely to approach the franchise records of 244 home runs (2009) and 288 stolen bases (1910), they could become only the fourth pinstripe squad to finish first in both categories (the only other A.L. franchise to accomplish that feat was the 1995 Cleveland Indians). Once again, you have to go all the back to the 1930s to find a Yankees’ team that displayed preeminence in both power and speed. In fact, all three dual first place rankings occurred during that decade, although it should be noted that the leading totals were relatively low because the era deemphasized the stolen base. Note: Rankings for each category do not total 110 season because of ties. Teams listed in order of most cumulative category leading finishes. Not surprisingly, the Yankees led the league in runs during each season in which they also finished first in home runs and stolen bases. The same trend also holds this season. Despite all of the publicity given to the Red Sox offense, the Yankees are the team that leads the American League in runs scored (albeit by only three). If they can hold onto that margin, it would give the Yankees the top spot in runs for the 31st time in franchise history, and the fifth time in six years, a level of dominance surpassed only by the 1926-1933 lineups, which outscored the league in seven of eight seasons. Using the long ball and small ball, the Yankees’ offense has proven to be one of the most dynamic in franchise history. Only five other teams in club history have scored more runs relative to the league average, so the lineup’s diversification has clearly paid dividends. As a result, the Bronx Bombers’ bats have left little reason for concern, which only means Yankees’ fans will now have to find something else about which to worry. When the Yankee bullpen struggled so badly during the first two months of the season, too many members of the mainstream media called for either Joba Chamberlain to be relieved of his starting duties or for Brian Cashman to pull off a trade that would reel in a veteran reliever. Well, those media members have grown silent over the last two months as the bullpen has achieved lofty status in the American League. Those writers and broadcasters turned out to be dead wrong in their assessments, largely for two reasons. First off, they forgot that the Yankees boasted one of the league’s most efficient bullpens just last year. And second, they didn’t stop to consider the depth of pitching in the organization, specifically the wealth of talent waiting at Triple-A in the form of Phil Hughes, Alfredo “Ace” Aceves, and David Robertson. The staying power of the late Thurman Munson is eye-opening. Thirty years after his death, the story of the tragic Yankee captain remains a compelling and popular read. Marty Appel’s new book, Munson: The Life and Death of a Yankee Captain, has been the nation’s best-selling sports book for the last four weeks. That’s quite an achievement, considering that Munson is not a Hall of Famer and is generally not considered an all-time great. Furthermore, most Yankee fans 35 and under don’t remember seeing him play, except for the occasional replay of the Bucky Dent Game and the 1978 World Series. In an era when the Yankee dynasty of the 1996 to 2001 has overshadowed the accomplishments of the Bronx Zoo years, Thurman Munson’s story still manages to capture the sincere interest of so many lifelong Yankee fans. Bruce Markusen, a resident of Cooperstown, writes “Cooperstown Confidential” for The Hardball Times. We all find ourselves so caught up with the Yankees and the races for both the American League East and the wild card that we sometimes lose sight of some of the most enjoyable and nostalgic events on the baseball calendar. One of those is Hall of Fame Weekend, just completed on Monday here in Cooperstown. Here’s a simple bit of advice: if you live anywhere near Cooperstown and have never experienced Hall of Fame Weekend, make sure you attend this celebration at least once in your lifetime. As a Cooperstown resident, I’m fortunate to have the opportunity to soak in Hall of Fame Weekend each year. There are so many different events going on—from autograph signings to clinics to the actual induction ceremony—that the weekend becomes a non-stop whirlwind of baseball activity that has something to fit fans of just about any sort, from casual to diehard. As I watched from the third base dugout at venerable Doubleday Field, I took note of how well organized the clinic seemed to be. Each group of youngsters spent 15 minutes at each station, as former players offered hands-on instruction, before moving on to the next post. The kids completed seven of eight stations, as some late afternoon thunder and lightning forced organizers to cut the event short by about ten minutes. The early termination didn’t matter; by then, the kids had received nearly two hours of instruction at the cost of exactly nothing. Yes, the event was completely free of charge. Frankly, I’m surprised that more parents don’t sign their kids up for the experience. In addition to being free, it features outgoing instructors who all have a desire to teach youngsters about the game. There are few scenes more uplifting than watching a 75-year-old Mudcat Grant telling five to 12-year-olds stories about his playing days while emphasizing the important of getting an education. Grant did this despite his continued recovery from recent knee and hip surgeries. Mudcat walked with the assistance of a cane, but aside from the effects on his gait, he still looks good some 36 years after last throwing a pitch in a major league game. Mudcat is truly a modern day marvel—and a phenomenal ambassador for the game. Rickey Heard The A’s Need A Left Fielder . . . The Yanks are hoping to avoid a split with the lowly A’s today as they send Sergio Mitre back to the mound. Mitre lasted 5 2/3 innings in his first Yankee start, allowing four runs (one of them unearned) on eight hits and a walk while striking out four. The lone walk was encouraging, as was the fact that Mitre got nine groundouts against just four fly outs. Still, with Chien-Ming Wang’s prognosis looking bleak, Mitre will have to do still better tonight to continue to quell the calls for Phil Hughes to be converted back to starting. Alex Rodriguez gets the day off today. Cody Ransom’s at third. Jorge Posada is hitting cleanup. Despite Brett Gardner’s big RBI triple yesterday, Melky Cabrera’s back in center. It’s fitting that the Yankees and A’s are playing today as Rickey Henderson, who spent four and a half of his prime years as a New York Yankee, enters the Hall of Fame wearing an A’s cap. Having come of age as a fan during Rickey’s Yankee heyday, Rickey holds a special place in my baseball heart, and seeing the green and gold flash against those midnight blue pinstripes will keep those memories flooding back. The Yankees and A’s have a long history of sharing great players, dating back to Hall of Famer Frank “Home Run” Baker, who hit exactly half of his career homers with each team. In the late 1950s and early 1960s, the Kansas City Athletics often appeared to be little more than a farm team for the great Yankee teams of that era, with Roger Maris being the cream of the Kansas City crop to flower in the Bronx. Then, of course, there was Catfish and Reggie, two of the three Hall of Famers from the early ’70s Oakland dynasty, who were also key players on the back-to-back Yankee Championship teams in the latter half of the decade. When Rickey set the all-time single season stolen base record in 1982, it was at the urging and ever-present green light of A’s manager Billy Martin, who himself had been banished to the old KC A’s following the infamous Copacabana incident in 1957 and would be back managing the Yankees in 1983. Billy managed Rickey on the Yankees to one of Rickey’s greatest seasons in 1985. More recently, Jason Giambi, who won an AL MVP with Oakland, placed his name among the Yankee franchise leaders in home runs (tenth), slugging* (seventh), and on-base percentage* (fifth). With Giambi on the DL after having returned to the A’s this year, the top cross-team names in today’s game are Yankee right fielder Nick Swisher, who was part of Billy Beane’s famous Moneyball draft, Oakland manger Bob Geren, a former Yankee catcher from the dark days of the early ’90s, and A’s reliever Russ Springer, who made his major league debut as a Yankee the year after Geren was waived and is old enough to have been traded with J.T. Snow for Jim Abbott. And since that stream of consciousness took us a considerable distance from the Hall of Fame, here’s a top-10 list of Hall of Fame classes that I assembled for SI.com. Yankees and A’s abound there as well. 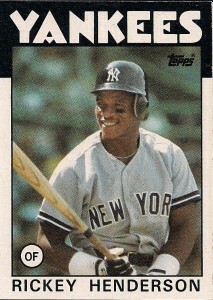 When I first started following the Yankees, their lineup began with Rickey Henderson, Willie Randolph, Don Mattingly, and Dave Winfield. 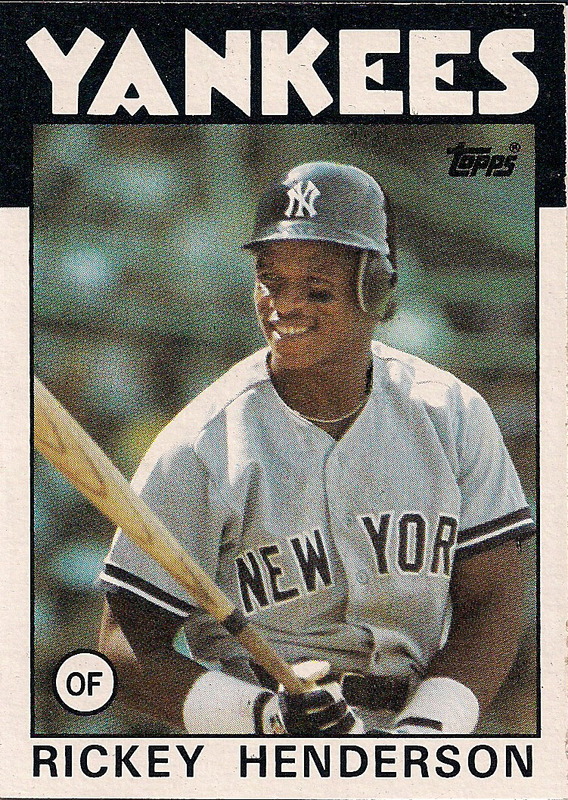 Though Winfield was my favorite player, Mattingly was the most popular, and Randolph was the two-time World Champion veteran, Rickey Henderson likely did more to cultivate my love of baseball than any of the other three. Time and again, Rickey would lead off the game with a walk or a single, steal second, move to third on a productive out by Randolph, and score on a single or sac fly by Mattingly or Winfield. The exceptions were when Rickey would lead off the game with a homer, something he did 81 times in his career, or when he’d steal both second and third, letting Randolph drive him in. In 596 games as a Yankee, Henderson scored 513 runs, drew 406 walks, and stole 326 bases. Fourteen years after Henderson was traded back to the A’s, Rickey was playing for the Newark Bears, the independent Altantic League team owned by his former Yankee teammate Rick Cerone. I remember reading that Rickey’s monthly salary from the Bears didn’t even cover the rent for the Manhattan apartment he was living in at the time. Rickey was ostensibly playing to get one more shot at the major leagues, but he had already set career records in stolen bases, runs, and walks, and owned 3,040 major league hits. Though he did finish the 2003 season by playing his final 30 major league games for the Dodgers, Rickey was playing to play, just as he did two years later with the San Diego Surf Dawgs. One weekend in July of 2003, I went with a friend’s brother’s bachelor party to see Rickey play for the Bears against the Mitch Williams-managed Atlantic City Surf. Rickey was having a ball. Before the game he took time out to sign autographs along the first base line. During the top of the first he chatted and joked with the fans along the left field line between pitches. Then he led off the bottom of the first. Just as he had for the Yankees, Rickey walked . . .
Stole second . . .
. . . moved to third on the catcher’s errant throw, and, following a walk to the second-place hitter, scored on a fielder’s choice to the shortstop. Three batters into the game, I had already gotten my money’s worth. Not long after that game, Henderson signed with the Dodgers. On September 13, 2003, Henderson pinch-hit for Guillermo Mota in the seventh inning of a game between the Dodgers and Giants at Dodger Stadium. Rickey was hit by a pitch, moved to second on a bunt, to third on a groundout, and scored on a Shawn Green single. He was then replaced by Paul Quantrill, who came in to pitch the next inning. The last thing Rickey Henderson ever did in the major leagues was score a run. As it should have been. I’m in the process of putting the final proof-reading touches on The Best Sports Writing of Pat Jordan. (The book will be released next spring.) I am the editor of the project, which, in many ways, has been like making a literary mix tape. Jordan has long been one of my favorite writers, so it has been an utter joy to read through well over one hundred of his magazine pieces from the past 40 some oddd years and select 25 cherce cuts for this collection. I’ll have more to say about Pat and the book as the release date approaches. In the meantime, you can check out a bunch of Pat’s New York Times work, which has recently been made available via the Times on-line archive (the only piece that is there that is also in the forthcoming book is the Roger Clemens story). Reporters, however, take the…disturbances seriously. They wonder, in print and on television, if dissension is ripping apart what they perceive as the delicately stitched fabric of clubhouse harmony each team must weave if it is to be successful? They see it all so clearly from their perspective, as men and women who have never been part of such clubhouses. They have always imparted to clubhouse harmony a certain romance of brotherhood they would only laugh at if someone tried to impart it, say, to the boardroom of I.B.M. They see relationships among players in a baseball clubhouse as merely an extension of the child-play relationships they remember from their youth. In a way, this is condescending to the players, implying as it does a childishness on their part, which, as grown men, they don’t have. 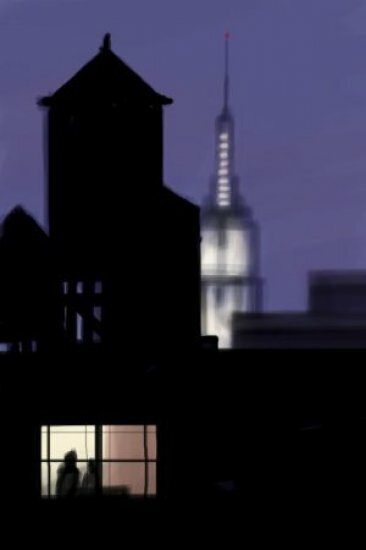 What reporters see, then, exists only in their mind’s eye. Which is why the players laugh. They know that clubhouse harmony or the lack of it hasn’t much to do with a team’s success on the field. Players know that good-natured camaraderie in the clubhouse, shared intimacies over a locker, plans to get together with families for a cookout on a day off, all have nothing to do with a team’s success. …Like most men in business, baseball players compartmentalize their jobs. What goes on across the white lines is infinitely more important than what goes on behind them. A close friend who consistently strikes out with the bases loaded isn’t as much use to a ballplayer as a despised teammate who consistently strokes game-winning hits. The respect a player feels for a teammate’s personal life has nothing to do with the respect he feels for a teammate’s baseball talent. Babe Ruth, Pete Rose and Wade Boggs are three of the greatest hitters ever in the game, and yet not many teammates might envy their personal lives. Yet to a man, every player in the game would want one of those three at the plate if a World Series championship was on the line. Check it out. There is even a “Rickey being Rickey” line about Henderson, the original Manny.